I started a new sketchbook, drew one hare and found him so inspiring that I couldn’t stop! 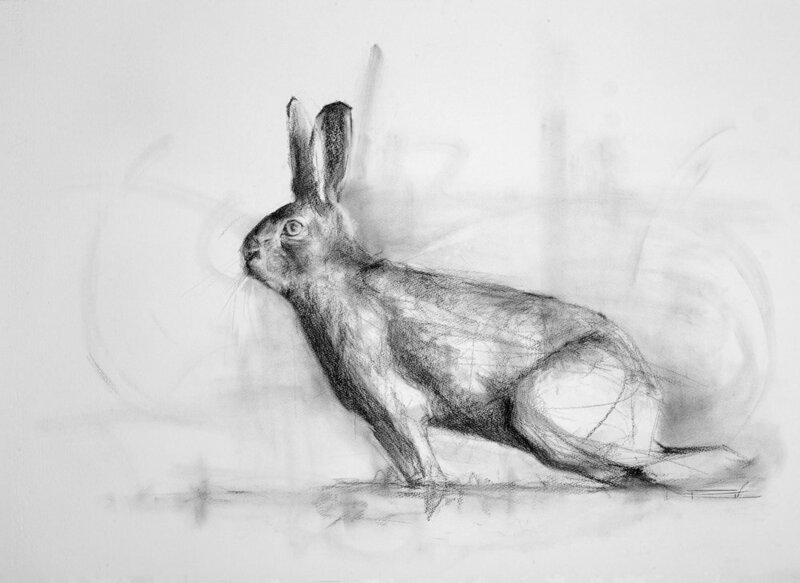 All Original Hares are drawn on Fabriano paper in charcoal. 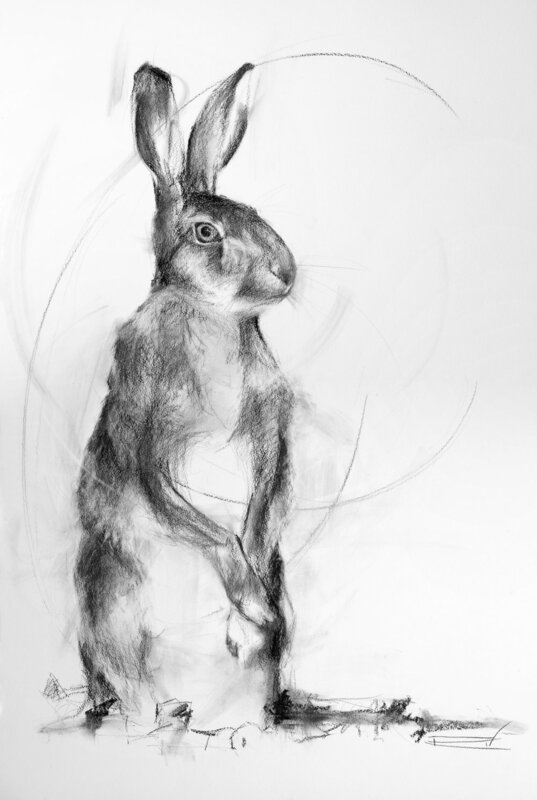 If you are interested in purchasing a Hare drawing please contact Rachel, all are available as Originals and Limited Edition Prints.